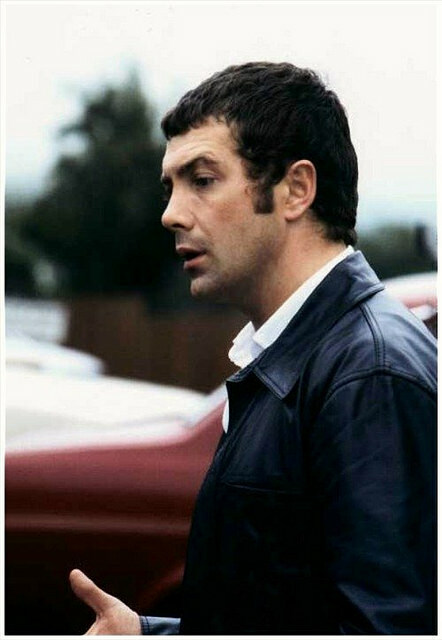 #348....."LEWIS COLLINS" - BODIE 3.7 . you'll never walk alone ! It does suit him, doesn't it ? But I expect it was too much associated with Bodie - and he was already fighting typecasting. I'd've loved to see him do more comedy, but the world was very hidebound back then. I think there's more scope for imagination now. Changing his hairstyle to avoid typecasting is a good point, I just wish he'd gone for something slightly different, something which could show off his natural curls and maybe with a side parting e.g. perhaps the style he had in Jack the Ripper but slightly more modern, not the bouffon style he adopted for WDW, I really didn't think it was him. Was it?! I think I should have got out more. Yeah, although his hair looked quite like that in the Cuckoo Waltz, so he may have been an early exponent. But that sort of style definitely had its adherents, usually the chaps who favoured smart suits. In some ways it was all very 50's influenced - which I guess Grease picked up on. But I am intrigued by the look he might have achieved giving reign to his natural curls.